Updated: 2006-01-04. Something not right? Please update the information. Hiking trails, sledding, snowshoes available. Hollyburn Ridge is a remarkable wilderness area within minutes of the city. In every season is provides an excellent location for an outdoor weekend for any age group. The winter months provide opportunities for snowshoeing and tobogganing, as well as cross-country and down hill skiing in nearby Cypress Provincial Park. When the snow is gone, excellent hiking trails lead to numerous lakes and the peaks of three mountains. Wild flowers, berries, birds and small animals are around in rich variety. 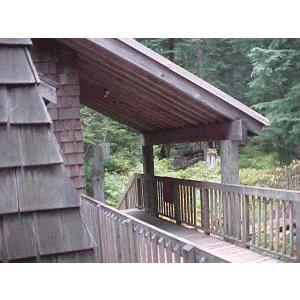 The cabin is a 30-45 minute hike from the Cypress cross-country skiing parking.